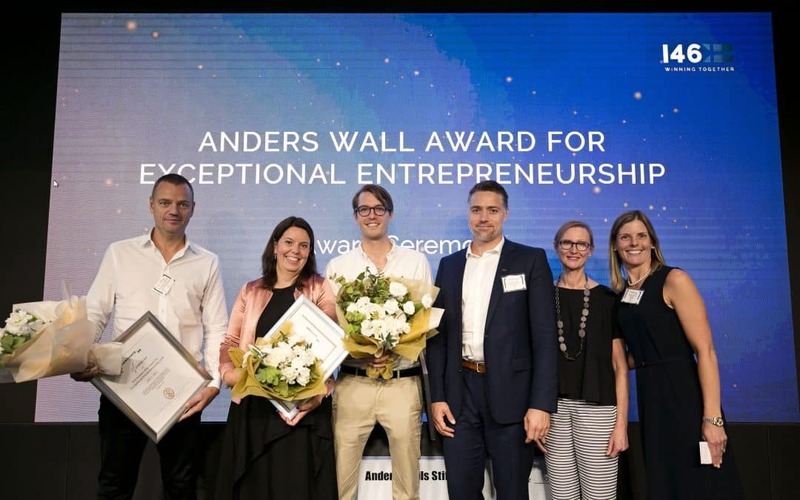 Willem Sundblad wins The Anders Wall Award for Exceptional Entrepreneurship at Innovate46. – The entrepreneur possesses exceptional entrepreneurial capacity and ability to create and lead a successful business. – The entrepreneur is an exemplary ambassador for entrepreneurship. – The entrepreneur has identified and created a product, technology or service, which generates increased customer satisfaction, or has recognized an innovative market niche. – The company possesses a high probability to succeed in the U.S.
– The technology, product, or service has a proven traction on the U.S. market and possesses a high probability to scale on the American market. The entrepreneur behind Oden Technologies, Willem Sundblad, received a check for $25,000 from Anders Walls Stiftelse. 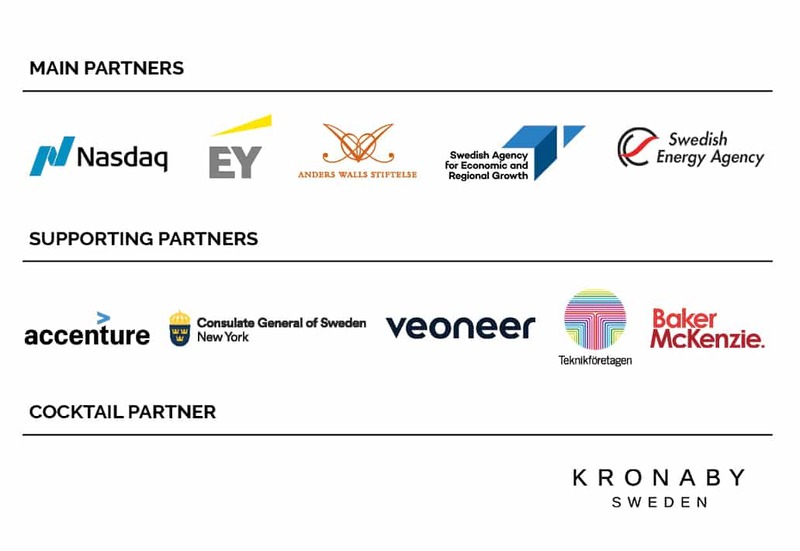 The jury consisted of: Kelley Conway, Managing Director, Accenture; Niclas Dellham, Representative, Anders Walls Stiftelse; Gunilla Nordlöf, Director General of Swedish Agency for Regional and Economic Growth (Tillväxtverket) and Sapna Shah, Principal, Red Giraffe Advisors. The other nominated entrepreneurs that made on-stage presentations at Innovate46 were Lisa Lindström, Doberman and Christopher Ahlberg, Recorded Future. 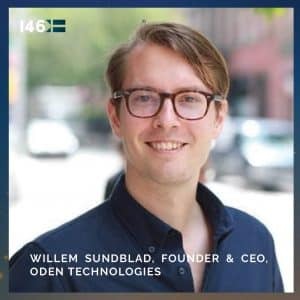 Willem is the Founder and CEO of Oden Technologies, an Industrial Internet of Things company helping manufacturers eliminate waste through data acquisition and analytics. Willem studied Industrial Engineering specialized in production at Lund University and Ecole Centrale Paris. Most recently, Willem was named as one of Forbes 30 Under 30 for his work in transforming the manufacturing industry and is a contributor forForbes.com, where he writes about the future of manufacturing. President, The Swedish-American Chamber of Commerce, New York. Head of Communications, The Swedish-American Chamber of Commerce, New York.